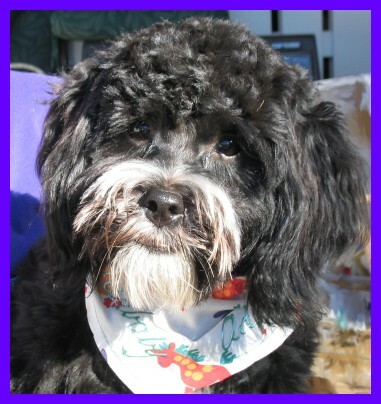 Murphy is now a therapy dog, so to speak, he is living in Bellingham, WA helping developmentally disabled women to enhance their live, with a great little furbaby. Hi, do you want an absolute lovebug, well don't look much further, cause Wes is it...he is active, playful, happy, a little whirlwind at times, but that is because he is a baby, a baby who wants you to love him, he will run up to anyone who looks his way, love me, and boy I will overwhelm you with my love for you. 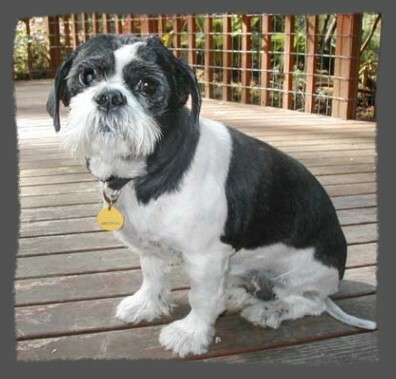 Westin went to a great home in Delta, B.C. and thank you B.J. for your great sense of humor! I remember living with a nice person a while back, but they got a chair with wheels and then got too tired all the time to have any time for me. I loved them, but someone took me away. I didn’t like the next place I was in for a long time...too many dogs and too much noise. I didn’t feel good either. A lady who looks at tiny dogs with big fluffy ears saw me laying and feeling ill. Boy, was I a mess! My skin was all oily and scaley, I smelled bad, I had a wart on my eyelid that rubbed all the time and a BIG hurty thing on my brow. I thought I heard them say something about me going to sleep soon, but I wasn’t really paying attention to that, I sleep alot anyways. That lady contacted Furbaby and next thing I knew, I was riding south with her. Another nice lady let me sleep at her house one night, but boy, did we get up EARLY to leave again. We drove some more, then I got to hang out with Trish and The Tiger Mountain Pack in Issaquah. A gentle vet let me sleep some at his place and I woke up feeling MUCH better. My head itches some, but it doesnt hurt now. My one eye feels a little funny when I blink still. EVERYONE tells me I am a HANDSOME BOY now...WOW! Shows what a good night’s sleep can do! I want my OWN home now. The Pack is nice, but I really want just one or two special people to be with, maybe a dog or cat. They have to have a soft pillow on the floor for me, I don’t sleep on beds or furniture. I do like the doggy door that is in my foster home, I can go out when I need to. But I do wait till FosterMom gets home if it is closed. I sit nice for my eye meds and I don’t mind the weekly bath. Just make sure I am REALLY dry...I even have a sweater while my hair is short for when it is cold. I just want a quiet special person or two to love. And I will love them back. PROMISE! 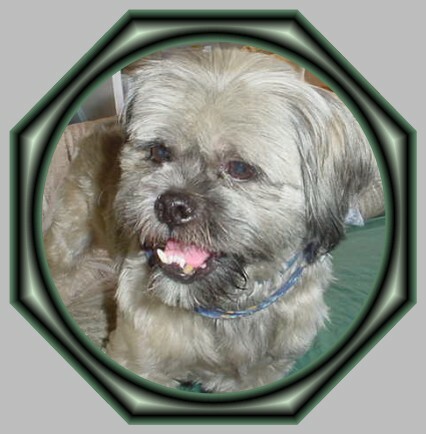 CharleyBarley is a LhasaX, about 10yrs of age. He sees well, hears well and even LISTENS to basic commands. His 24lb, 13” is suitable for house, condo or medium sized apartment. CharleyBarley needs eyedrops daily now and possibly for the rest of his life. 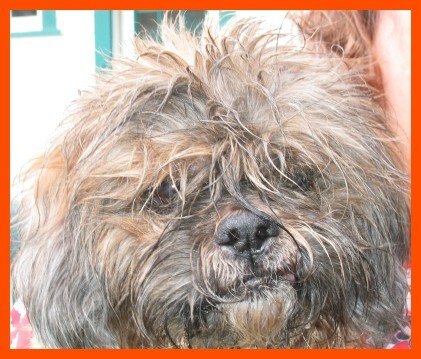 He also needs a bath weekly with a special medicated shampoo to keep his skin healthy. CharleyBarley is an alert, happy, calm guy. He likes walks, drives and sleeping on the floor near you. He takes just a bit more love but in return he will love you with all his heart! Walk beside me , I will walk with you, I will stroll along and ask for very little, a pat on the head, a smile on your face, a warm bed, a bowl of food. I have a spirit that envelopes you, I only ask to be loved, I only ask that you care, and in return I will always be by your side, I have a kind and gracious spirit, and if you allow me into your heart, I will always be there for you. Please look at me, my hearing is dim, from too many infections left untreated, my eyes are dry from lack of care, my teeth were rotten because no one loved me enough to keep me healthy. I am healthy now, with all my dental done, drops for my eyes, antibiotics for my ears and body...and I am now whole again, my spirit never tainted, because I always see the good in people, I don't understand why they did not see the beauty in me..
this is one wondrous boy, such a gentle soul...he forgave his neglect, we certainly can learn a lesson from such a companion. My story is sad and even sadder when you know my circumstances. I was given up to a sanctuary because I was labeled a biter. A bad man had been very mean to me because I would nip at him when I felt bad. The man at the sanctuary tried to help me, but he didn’t understand either, and he was a man too, so I was passed on to my new foster mom. She took one look at me and knew there was something wrong. I guess she could see it in my eyes. 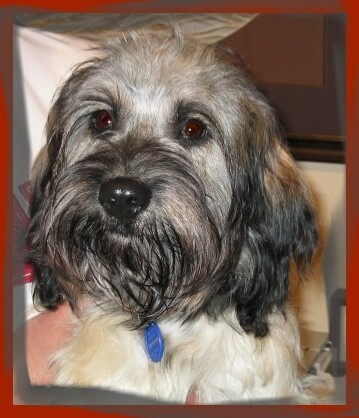 We Lhasa’s have very expressive eyes you know. She took me to the vet right away to see what was bothering me, and sure enough, I was a very sick girl. I had a very bad bladder infection and possibly bladder stones. The vet said it had been going on for a long time, and that I was probably in a lot of pain. My foster mom got me some medicine and took me home, but I wasn’t getting better. The next day she had to rush me back to the vet because I was crying when I would try to go to the bathroom. It hurt a lot, and all that came was blood. I had a high fever and was feeling awful. I had surgery and there were lots and lots of stones – no wonder I was crabby. It turns out the only time I bit was when people would try to pick me up, or touch me where it hurt. My foster mom understood this and is working with me to help me trust again. Sugar Bear is a very sweet dog. She just needed someone to understand her. I have come to know her as a loving and loyal dog who responds well to love and patience. 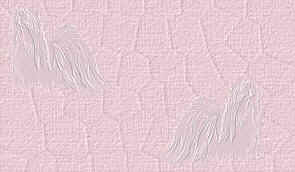 At first she was tentative and afraid, but I took it slow with her, and she has decided I will not hurt her. Now she greets me with hugs and kisses, she loves to sleep with me, wakes me with lots of kisses and wants tummy rubs. She is allowing me to give her meds and lets me touch her anywhere I want. I have learned to always take it slow and let her know what I want to do. 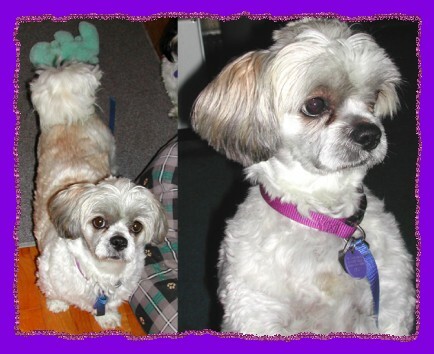 Whoever owned this precious girl did not understand Lhasa’s and poor Sugar Bear suffered for it. Sugar has bonded with me in a dramatic way. 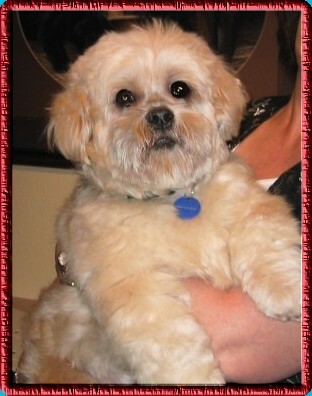 She has the true Lhasa temperament; she is a watchdog, faithful, and protective of her human. Her life has just been an endless series of misunderstanding, and a lack of proper care. In my home she is blossoming into a wonderful, well-adjusted dog. 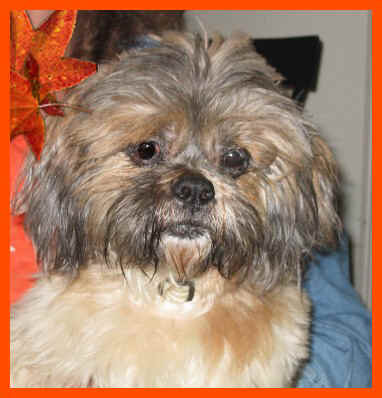 She has a bit of Lhasa tude, yet, but she has a deep spirit and a loving soul. In the right home, she will flourish.